The Israel and Golda Koschitzky Centre for Jewish Studies inaugurated the York University Visiting Professorship in Israel Studies in the Fall of 2008 and has welcomed many Israeli professor since. The project was made possible a partnership with private donors, UJA Federation of Greater Toronto, and York's Faculty of Liberal Arts & Professional Studies. 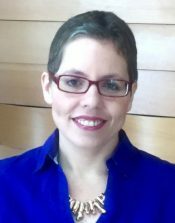 Dr. Yael Braudo-Bahat obtained her Ph.D. from the Tel Aviv University Law School, where she also served as the Associate Editor of the law journal Theoretical Inquiries in Law and as a teaching fellow. Professor Braudo-Bahat's research focuses on the history of Israeli law, Israeli feminism, jurisprudence, and legal theory. In her dissertation, she unveiled the involvement of Israeli women’s organizations in the enactment of the Israeli Spouses Law (Property Relations) in 1973, and along with the historical analysis, she theorized the connection between the various possible regimes of marital property and the autonomy of the spouses within the family. In her current research, Dr. Braudo-Bahat addresses a 1950's legal project in which the Harvard Law School assisted the Israeli Ministry of Justice in formulating legislation in the young Israeli state. In addition, she further develops her research on the role of law in promoting spouses’ autonomy. During the 2017-2018 academic year, Dr. Braudo-Bahat will teach two undergraduate courses on Israeli history and society, as well as a graduate seminar on A Century of Israeli Feminism.